A Roulette Table is one of the most visualizing allure tables at any type of casino event. Originating in France along with other table games such Baccarat and Blackjack, the version of Roulette that we know today is from the late 18th century. This is when the French took elements of a game called roly-poly and biribi and merged them together to create Roulette. The Roulette Table odds that we play today at casino events are the same as they were then; straight up betting on any number, betting red/black,even/odd, column bets, split bets and other combinations bets. Roulette itself is a very easy casino game to play and our casino event dealers can quickly teach anyone the tables odds of this casino game. 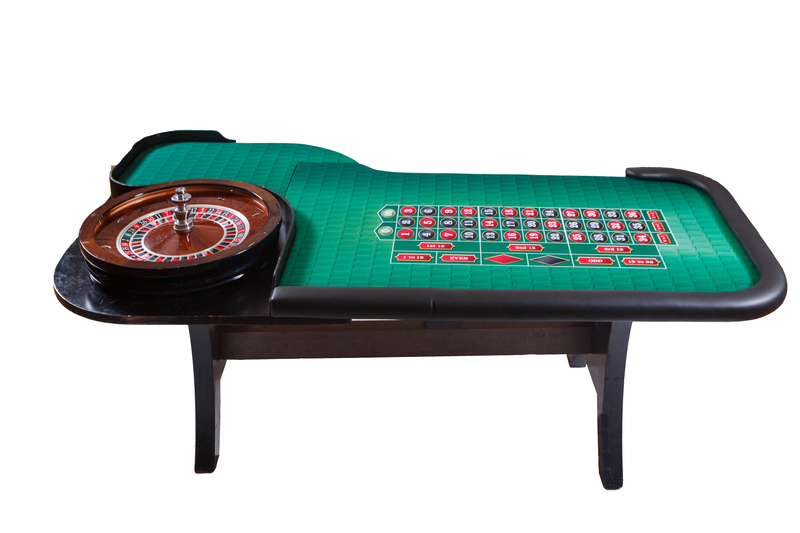 There are numerous factors when selecting a Roulette table and wheel for a casino themed event. One primary factor is what visual appearance and how authentic one is seeking for this type of themed event. Other factors include how many players can play at once around the roulette table, how interactive & educational is the roulette dealer, can the roulette table have a branded or custom layout and what other possible sponsorship opportunities are there if the casino event is a fundraiser. Our Roulette tables use only authentic 30 and 32 inch all wooden roulette wheels just like you would find in casinos throughout the world. We carry roulette wheels manufactured in North America and Europe and the wheels are American Roulette wheels with the "0" and double "00". We call our roulette wheels our babies because we watch them diligently. They are transported in custom cases which insures their safety as well as the integrity of them. A test of the preciseness of a roulette wheel is when you are at your casino themed event, gently spin the wheel and see how long that spins last. Our authentic wheels will continue to spin. Our Roulette Tables are regulation tables and can accommodate up to 12 players at once. Since we carry tables that are considered regulation, we do not offer tables that are called Double Roulette where there is 1 Roulette wheel in the center of two tables. 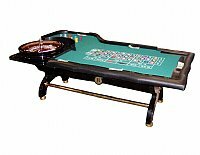 While this type of table can accommodate more players, it will require additional dealers increasing the cost of the roulette table rental. Furthermore, this type of table takes away from the overall experience as part of playing roulette is interacting with the other guests as well as the dealer. Each table comes with a professional trained dealer who has been trained on the aspects of the game as well as how to properly interact with the guests of the event. The dealer will teach new players on the odds of each bet as well as the combination bets that are available to the player. Different type of bets can be made on a Roulette table and the dealer when the player first approaches the table will ask do you want to play inside, outside or both. If a player does not know the dealer will expertly explain to them what are the differences. Another important factor is that the Roulette table odds & layout should be clearly legible. Our layouts come from the same manufacturer that supplies several of the casinos in Las Vegas and other gaming locales around North America. Besides the layout being clearly legible, the material that we use allows us to quickly bead away spills of beverages and food. This attribute of the layout is extremely important when doing a casino themed event as it inevitably spills will occur. 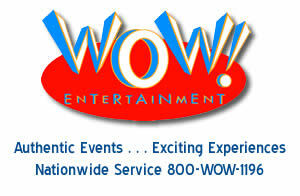 Additionally, the table layout can be themed & branded specifically for the event. We use only regulation chips & roulette balls on our tables. We equip our tables with 7 different colors of marker chips as well as denominated chips. Each Roulette table comes with a digital betting sign which displays the minimum and maximum bet, dollar value for each denominated chip and a redemption line if your event is a casino fundraiser. Digital betting signs just like the roulette table layout can be branded. Please contact one of casino event specialists at 1-800-969-1196 to learn more about our authentic roulette table & wheels.